On February 1st, the Eve of Candlemass, if you haven’t already, you should take down your Christmas decorations. Decorations have to be left up past Twelfth Night in Spain, otherwise they’d be gone before the main event of the season - Los Reyes (The Three Kings) - on January 6th, but also in British culture: "The eve of Candlemas was the day on which Christmas decorations of greenery were removed from people’s homes and churches." February 2nd is an island-wide public holiday in honour of the spiritual patron of the Canary Islands: the Virgen de la Candelaria. The Fiesta de La Candelaria is held every February 2nd, coinciding with the celebration of Candlemass - the Presentation of the Lord and the ritual purification of the Virgin Mary. In the town of Candelaria, where the figure of the Virgin resides, there is a program of religious events lasting several days. 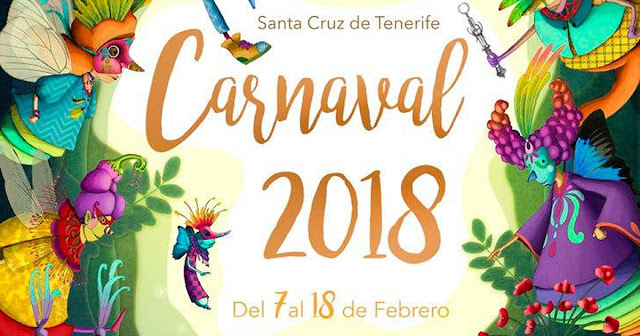 Shrove Tuesday, February 13th will be a municipal public holiday in Adeje, Arafo, Arico, Arona, Candelaria, El Rosario, El Sauzal, Fasnia, Granadilla de Abona, Icod de los Vinos, La Matanza de Acentejo, La Orotava, La Victoria de Acentejo, Los Silos, San Cristóbal de La Laguna, San Miguel de Abona, Santa Cruz de Tenerife, Santa Úrsula and Tacoronte for Carnival Tuesday. The main parade of the carnival in Santa Cruz takes place on February 13th, 2018 and we will continue to bring you news of the carnival events separately.